Eidolon brands, a Texas based marketer of Golf brands, launched a new brand known as SCOR Golf and its new line — SCOR4161 precision scoring clubs. Eidolon needed help raising awareness of the new brand, launching the brand’s first product line and getting golfers to embrace a new way to think about their club set — all ultimately to sell golf clubs. Eidolon engaged our team to help them tell their story and achieve the credibility and confidence needed for further dialogue and the introduction of a purchase proposition. 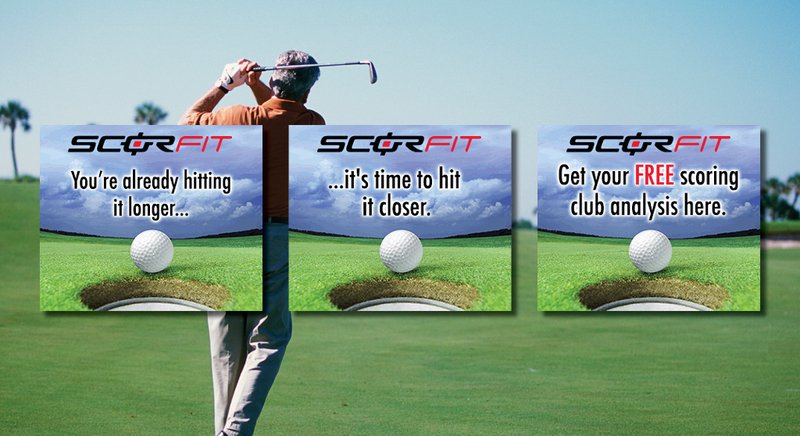 First, we helped Eidolon develop a free interactive scoring game assessment (SCORFit) that engaged the consumer to think differently about their game and provided a prescription for their custom-built set of scoring clubs. 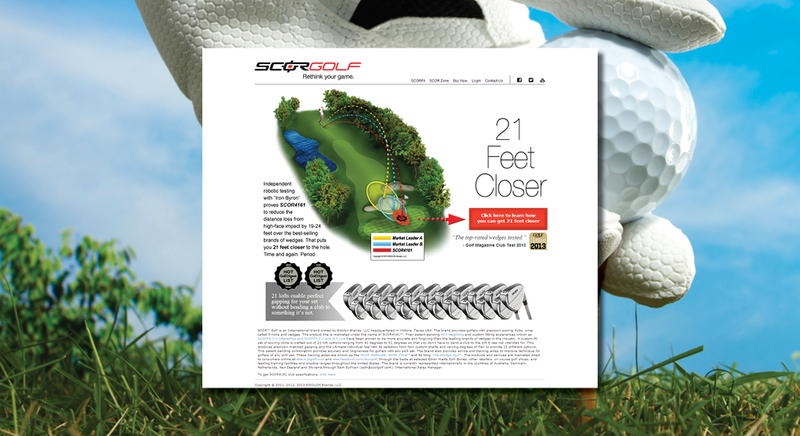 We also reworked the website, introducing intuitive navigation and the brand’s competitively tested value claim: SCOR 4161s can help golfers get 21 feet closer to the hole. 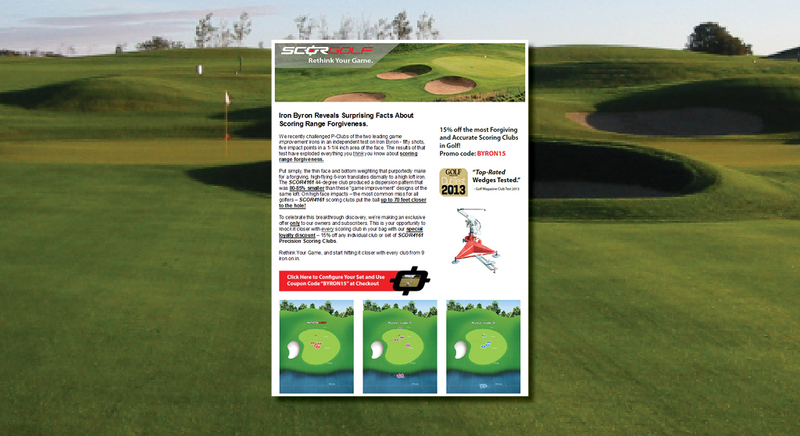 Our team drove traffic to the home page and directly to the SCORFit assessment from selected outreach and partnerships with key golf communities, aggressive public relations, social interaction, smart search marketing, database building, email marketing and extensive affiliate marketing backed with a calendar of promotional ideas throughout the year.